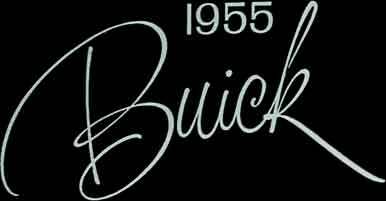 In each of five big SPECIAL models -- 2-Door Sedan, 4-Door Sedan, Riviera, Convertible and all-steel Estate Wagon -- there's the new Buick beauty of lowered hood and fender lines, new grille, new hooded headlamps and tail lights. There is the sparkling new performance of the SPECIAL's new 188 horsepower V8 engine. There are roomy interiors upholstered in high Buick fashion. There is a ride that knows no peer in its low-price field. And at your option, you can select such advanced Buick features as Variable Pitch Dynaflow, Safety Power Steering, Improved Power Brakes, Redliner Speedometer and trip mileage indicator -- even Buick's famed Airconditioner (in the 4-Door Sedan and Riviera). In every respect, the 1955 SPECIAL Series is the big and thrilling buy for the budget-minded.